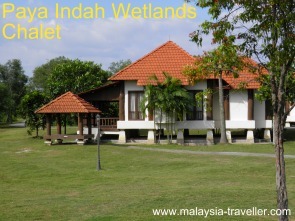 Paya Indah Wetlands is a nice place to find peace and quiet and enjoy nature away from the busy city. 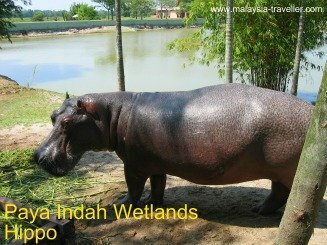 I first visited this park (located about 15 minutes drive south-west of Putrajaya - Cyberjaya) in 2010 when it was newly established. Having gone back a few times since, most recently in March 2017, I am pleased to report that there have been a lot of improvements and the place is being reasonably well maintained, though on my last visit there were some fallen trees which had caused damage needing repair. This short video shows how peaceful it is here, apart from the occasional overhead airplane noise. 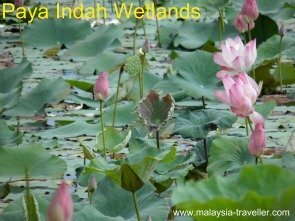 Paya Indah (which means 'beautiful swamp') is a man-made wetlands area created in 1998 on land which had been heavily degraded by tin mining and sand dredging activities. 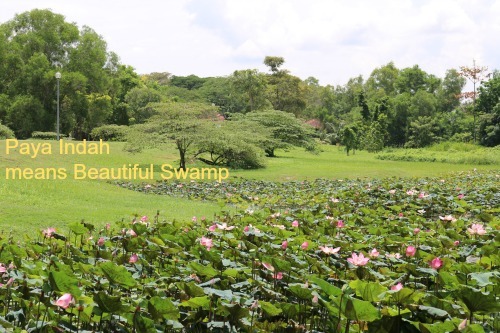 The excavations left by the mining works have been converted into lakes which are now home to fish, lotus plants and water lilies and some more exotic species, namely crocodiles and hippos. New trees were planted and are now maturing which, combined with the surviving earlier forest, are attracting a wide variety of bird species, insects and animals. The Department of Wildlife & National Parks has done a good job over the past year in regenerating this eco-tourism park's facilities which had earlier seemed to be unutilised. 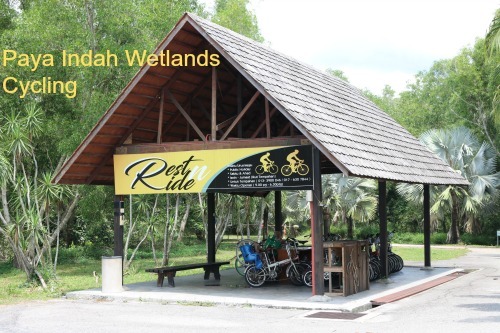 Here is a list of ACTIVITIES which are available at Paya Indah Wetlands. 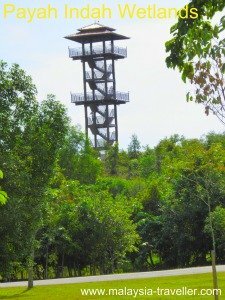 A lookout tower was built in 2011 providing a 360 degree view of the whole area. It is still very green but I noted that dredging activity is going on just outside the park boundary and that patches of trees have been cleared for agricultural or development purposes near the park. The Typha Trail is available for trekking. 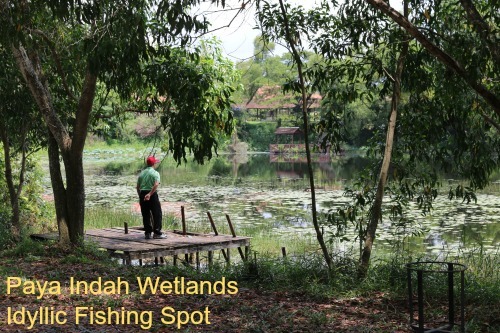 Much of the woodland in the recreational zone has been recently planted so do not expect the same sort of lush jungle that you encounter in other parks in Malaysia. Bicycles are available to rent. 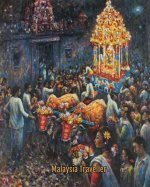 They look in good condition and can be rented for RM5 for 2 hours. Tricycles are provided for children under 6 years old at RM3 for 2 hours. This is a spread out (and flat) park so a bicycle is a good way of covering the distances. Take a hat and water though because there are a lot of open exposed spaces. Two hippos, originally from Botswana, live in the Hippo Pond enclosure. The best time to see them is feeding time (10am - 10:30am). They spend much of the rest of the day semi-submerged in the lake to prevent their surprisingly sensitive skin from getting sunburnt. 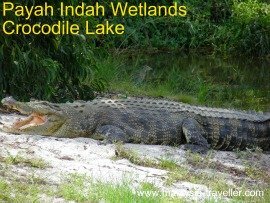 The massive fierce-looking crocodiles were apparently transported to Paya Indah from Langkawi which puts me off exploring the wilds of Langkawi a little bit. Fishing is possible on Typha Lake from 8am - 6:30pm everyday except Fridays. The cost is RM10 per rod. No live bait is allowed. Fishermen tell me that Marble Goby and Giant Snakehead are typical of the type of fish which inhabit this pool. Kayak rental costs RM7 per hour. An instructor can be hired for groups of between 10 to 20 people at RM180 for 3 hours (prior reservation is needed). The hours for kayaking are 9am - 12pm, 3pm - 6pm. A small animal area features porcupines and giant tortoises who get on so well together that they share the same shelters to escape the scorching midday sun. Strange bedfellows but I suppose a tortoise, with its protective shell, is one of the few creatures that does not have to worry about spiky porcupine quills. You need to register at the security gate at the entrance. Fridays open from 8am - 12pm and again from 2:45pm - 6pm. Accommodation is available for those wishing to stay overnight. At the smart accommodation reception (above) you can check in for one of the park's 29 Chalets which sleep two people (double bed) and are air conditioned. 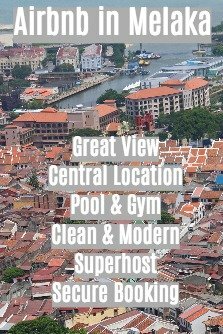 And very nice they look too and good value at the very reasonable price of RM120 per night. Dormitories and a camp site are also available at RM 9 per person/site/night. 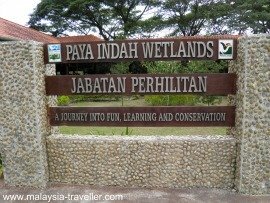 Paya Indah Wetlands is quite well sign-posted. Coming from Putrajaya head towards Dengkil. At the traffic lights in Dengkil turn right towards Banting. After a couple of kilometres turn right when see a sign for Paya Indah. Follow the road to the end. There is a large free car park near the entrance. During off peak hours you may be able to drive inside the park to save you walking. Check with the security guard at the gate if this is allowed.